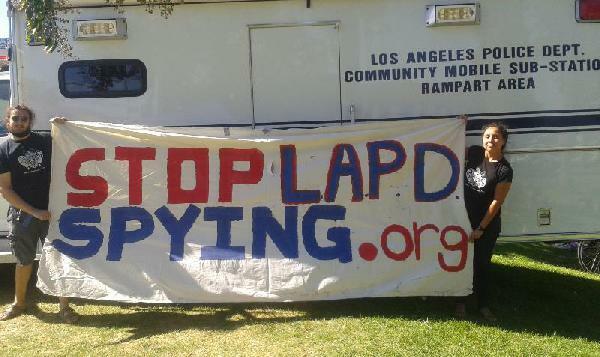 The Los Angeles City Human Relations Commission (HRC) met on Thursday, October 10th at City Hall to vote on the Stop LAPD Spying Coalition’s demand to hold public hearings on the LAPD’s Suspicious Activity Reporting (SAR) program and Special Order 1. Hamid Khan will be on killradio.net, on the BrownZero LA show, Wednesday October 23rd, 5PM PST, to explain the struggle against the citywide police surveillance, and how after a long struggle, the city council finally called for a special hearing and Khan will give a report back on the results. And, Gloria Saucedo will discuss the work being done in Tijuana and the drive for clothes and other victuals for thousands of deportees that are stuck in Tijuana with no money, food, shelter, etc, after being deported.